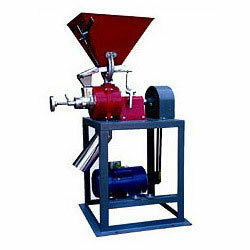 Ours is a coveted firm involved in the process of manufacturing and supplying of Coffee Grinding Machine. These mild steel blending machines are offers high-performance with power efficiency. Built with mild steel and stainless steel these blending machines offers long serving life and can perform with heavy load for long working hours. We ensure that our mild steel blending machine are built with the help of superior-grad raw material which is procured from our vast trustworthy vendors to ensure that these machineries are of best in its class. Leveraging on the support of our sound infrastructure, we are able to come forth with the extensive range of Coffee Grinding Machine. Made of stainless steel, these machines are used for dry blending of free flowing solids such as coffee-beans and similar other grains. Our stainless steel blending machines offers high performance. We have ensured safety of the user with our design. We also offer these stainless steel blending machines with custom modifications as desired by the customers and deliver them timely. We are a paramount organization that is engaged in providing reliable MS Coffee Grinder to our clients. Offered by us, built with using mild steel these mild steel coffee grinder are easy to operate and user friendly. 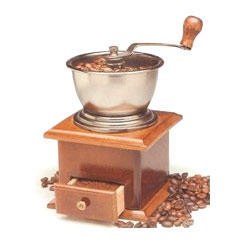 Our grinders preserves rich aroma of coffee in the processing of raw coffee beans. These are designed using latest technologies which makes sure that these grinders are delivering performance to the best of their ability as expected by the customers.